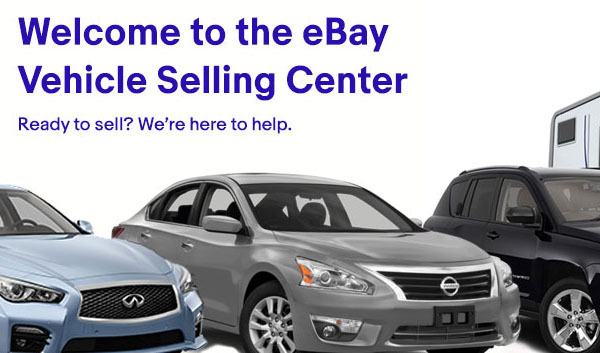 eBay has real, capable car buyers, so let’s make sure your inventory is available to the eBay audience today! 7.4 Million unique visitors a month looking for cars. A car or truck sells every 3 minutes on eBay. eBay listings allow people to interact with you and your inventory. eBay Shoppers are More Ready to Buy. According to a recent survey of car buyers, eBay Motors shoppers have a higher intent to purchase vs other platforms. Call 866-322-9227 or email motorsinfo@ebay.com now for more information. It's never been easier to list your vehicles on eBay. Discounted flat rates for dealers and automated listings allow you to focus on closing deals. Still have questions? Contact us. Introducing our fixed-price subscription tool that enables dealers to showcase their “digital parking lot” and accelerate sales. Dealers can purchase “parking spaces” for one month and have the flexibility to change out inventory as needed. Plus, no extra fee, just one flat rate. Let us help you continue to grow your business. Contact us at 866-206-9555 or motorsinfo@ebay.com. Use at least eight characters in your password, including numbers and upper and lower case letters. 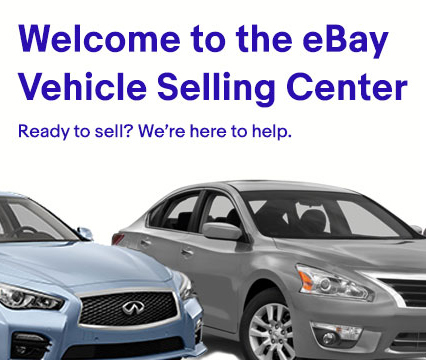 Our most successful dealers find that high-speed Internet access (broadband) is essential to efficiently list and track their inventory on eBay Motors. High-speed examples include: cable, DSL and satellite. Contact your local phone or cable company for more information. Most successful dealers rely on Solution Providers, allowing them to spend more time closing deals and less time creating listings. Most listing software involves an additional charge, but in the long run you'll save time and money on each listing. Ask for the details on exact charges before deciding which software provider to use. Honesty and full disclosure lead to more sales and greater profits. To save time, fill out a copy of the Listing Checklist as you photograph the vehicle. Providing complete details of your payment and inspection policies will increase bidder confidence, minimize negative feedback and eliminate misunderstandings, both before and after the sale. Top sellers track price and conversion trends on the site to establish a strategy for listing most, if not all, of their inventory on eBay Motors. Top Sellers communicate with bidders throughout the entire process to pre-empt problems, up-sell and build buyer trust. At the end of any transaction, you can leave feedback that is positive, negative or neutral for your trading partner, depending upon the experience. Use at least eight characters in your password, including numbers. Before posting any car or truck listing on eBay Motors, you’ll be required to supply a minimum list of vehicle descriptors and Terms of Sale information — VIN, make/model/year, pricing, accepted methods of payment, etc. The more information, insight and photos you can provide on a listing, the more dynamic your vehicle will appear and the more compelling your listing will be. For cars and trucks, the eBay Motors Sell Your Vehicle Checklist proves, hands down, to be the best way to make sure you include all the mandatory elements. Click on the link above, print it out, then check off each piece of information as you collect it. In fact, having the Checklist with you while you photograph your vehicle, and checking off features as you shoot them, is a wise, time-saving approach. By using the Sell Your Vehicle Checklist, you’ll leave nothing to chance. For motorcycles, powersports, boats and other vehicles, the same ingredients contribute to an attractive and effective listing. Lots of photographs of different angles, important components and features, and any relevant information and insight you can provide on the vehicle will make for a great eBay Motors listing. Maximize sales with national reach. With 7.4 Million Unique Searchers, 3.6 Billion Monthly Search Impressions and 109 Million Monthly VDP Views, we get your listings in front of more buyers in more places. *Based on Multi-Channel user data per Comscore, Q1 2016 for eBay Motors in North America.